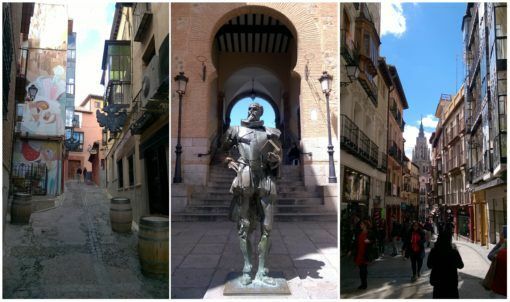 After travelling around Spain for six weeks (find out how much our Spain travel costs were here), Andrew and I moved about an hour south of Madrid to Toledo in April 2016. We rented an apartment in the centre of the city through Airbnb for 38 days, but spent around 15 days away working at English camps near Guadalajara. So how much does it cost to live in Spain? Here’s a look at what we spent during our time in Toledo. 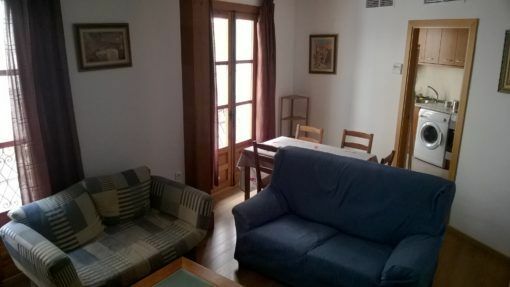 When we were planning to move to Spain we focused on finding an apartment in Madrid for just a few months, which turned out to be an expensive option. 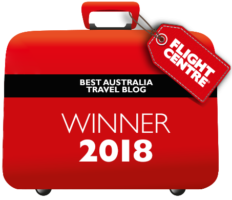 Most landlords wanted us to sign a year-long contract, so we were limited to looking at short-term options on Airbnb which turned out to be way out of our price range. If you’ve never used Airbnb before you can get £20 free credit if you sign up using this link; we’ve used the site exclusively for accommodation in Spain and the USA and find it cheaper than hotels and hostels. 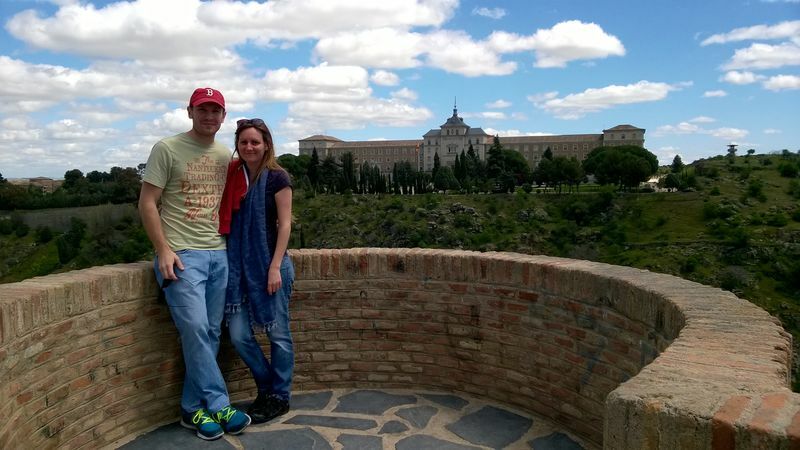 Given our mixed feelings towards Madrid, in the end we decided to look elsewhere and found a lovely two-bed apartment through Airbnb in Toledo, a hill-top city full of history and windy cobbled streets, which we quickly fell in love with. Our apartment was right in the centre of Toledo with good WiFi, a kitchen, washing machine and all bills were included in the rental price. Yes, the rent was more than we’d hoped but it made a great temporary home to work from. Since we were trying to keep our living costs down we took advantage of the kitchen in our apartment to cook all of our meals while we were in Toledo. 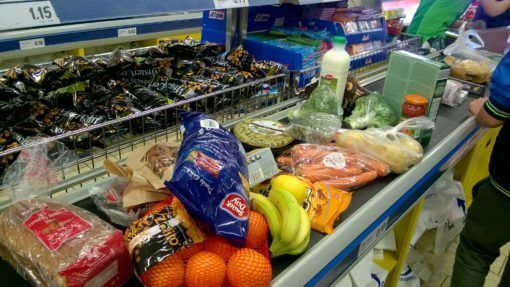 We shopped mostly at Lidl, which was a fair walk from the historic centre of the city but a lot cheaper than the markets inside the Old City walls. We’d occasionally go out for dessert in Toledo and during day trips to Madrid we’d eat out at one of our favourite veggie restaurants. While we were working at camp all of our meals were free (but pretty disgusting), which reduced our overall food costs substantially. 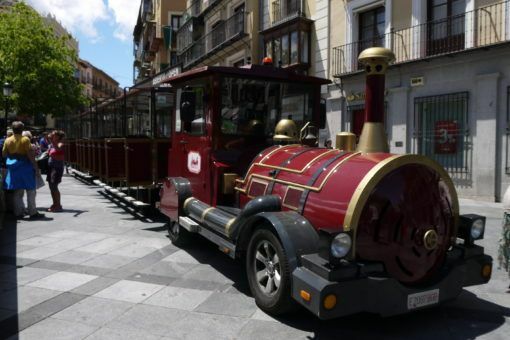 We caught the ALSA bus to and from Madrid at least once a week for work and day trips while we were in Toledo, which really bumped up our transport costs. The bus only took 45 minutes though and was half the price of the train. We also took a few local buses in Toledo on our way back from the supermarket and bought metro tickets to get around Madrid. 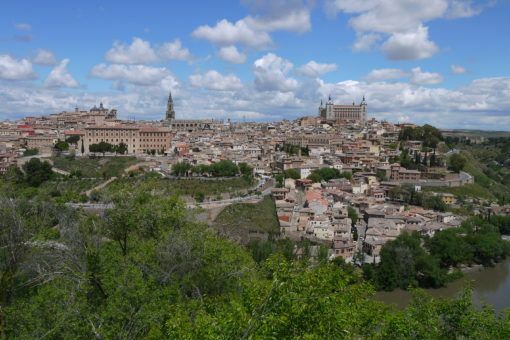 We spent very little on entertainment and sightseeing while we were in Toledo; we bought a tourist bracelet to see some of the most famous buildings in the city and took the tourist train up to a panoramic view point. During our day trips to Madrid we focused on free sightseeing activities such as visiting the Templo de Debod and exploring on foot. We spent money making some much needed updates to our wardrobe in Madrid and I had to stock up on contact lenses. We also fell ill during our immersion camps and needed to buy medicine; I got a very cheap haircut in Madrid at a student hairdressing salon and we invested in some big mugs for our apartment to replace the hobbit-sized cups. Overall, Spain isn’t as cheap as we expected it to be, especially when compared to our super-cheap living costs in Vietnam and Thailand, which is one of the reasons we’re returning to Asia in August. 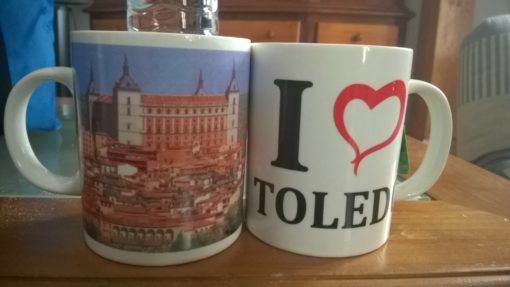 Saying that, for a European destination I think we did well to keep our living costs down in Toledo and we enjoyed some of our happiest times in Spain living in this beautiful city. 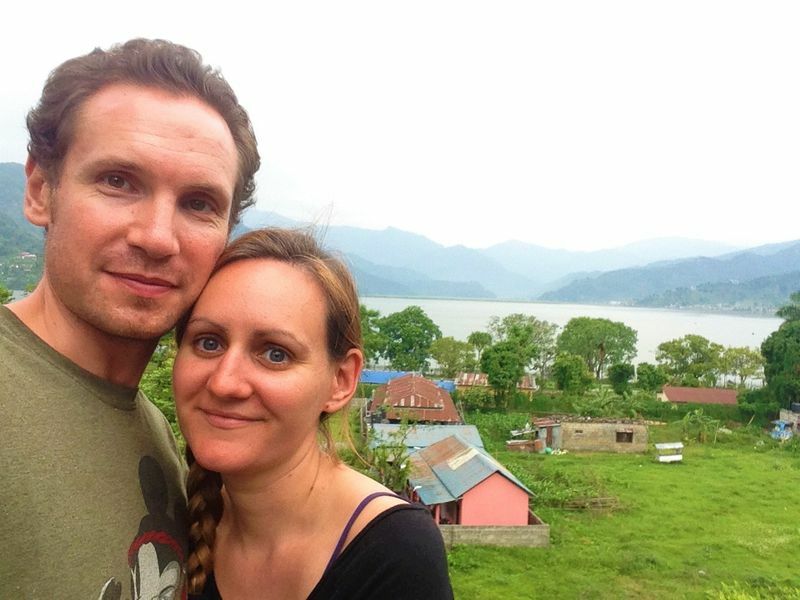 If you want to read more about how much it costs us to travel the world and live abroad, check out our travel cost page to get more detailed breakdowns of how much we spend in each country we visit. 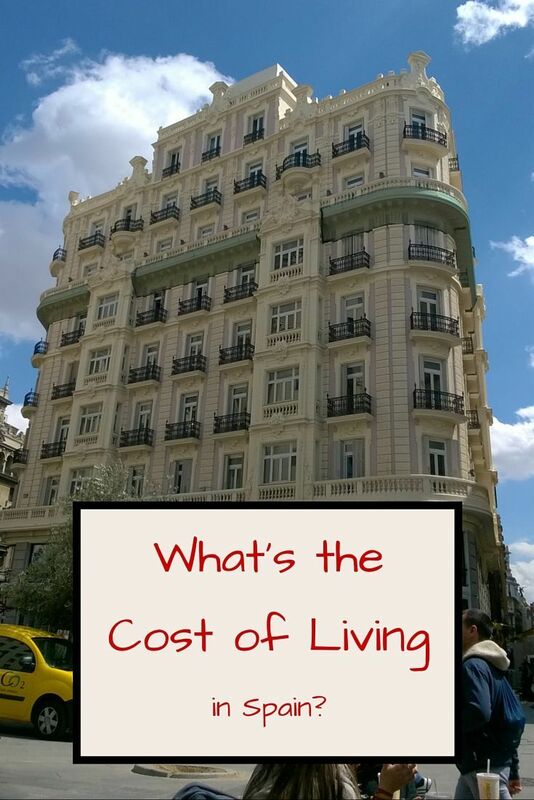 What do you think of our Spain living costs? Hi Gilda, yes, I don’t think we did too badly with our Spain costs in the end; the haircut was a simple trim but great value! We often went out for our evening treats of ice cream in Toledo, which you don’t see in the weekly shop 🙂 We will actually be returning to Spain one last time in August for a family holiday in Malaga which we’re really looking forward to. I love the look of your new site! I’ll be over there in a minute checking it out further, well done for getting it up and running, I always struggle with technical tasks like that. Great job! Even though Spain was higher than you expected, on a day-to-day basis, you did rather well! Keep it up and I look forward to reading all about Asia when you return there! So many of us dream of living abroad, especially countries like Spain, but it can be hard to put things into perspective. Thank you for this article, its very useful, as you’ve shown its not as cheap as people may first think. It’s been found that whilst the cost of living in Spain has increased over recent years, the average salary has not. However, if you compare it with other popular European destinations such as London and Paris, its definitely far less expensive! Hi Cara, thanks for your comment, I’m glad you’ve found the article useful. Although Spain turned out to be more expensive than we thought, you’re right, it’s still a lot cheaper than some other European destinations.